If a contentious, and groundbreaking, bill passes the state Legislature this summer, many students at UC Davis and other University of California schools won’t be doing some of their basic course work on campus anymore. As of next year, they also may be enrolled in classes that aren’t taught by UC faculty. Instead, they will be taking classes online, produced by for-profit companies—and getting full college credit for them. Supporters of Senate Bill 520, authored by local state Senate President Pro Tem Darrell Steinberg, argue that the legislation is designed to eliminate the “bottleneck” of students trying to access general-education course work—the classes that have been most impacted by recent state budget cuts. 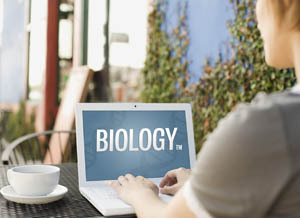 Online courses produced by for-profit companies also could be offered to students at California State University and California Community College campuses. But opponents of the bill, including multiple faculty organizations, argue that it will allow for-profit educational companies to gain access to public colleges and universities that they would not otherwise have, and thereby undermine the quality of higher education in California. In March, the Academic Senate of the University of California released an open letter criticizing the bill’s inclusion of private corporate interests. “There is no possibility that UC faculty will shirk its responsibility to our students by ceding authority over courses to any outside agency,” the letter stated. Some of the largest venture-capital firms in Silicon Valley have heavily invested in educational technology startups like Udacity, EdX and Coursera. Last week, Coursera announced partnerships with 10 public universities, including the State University of New York system, to offer for-credit courses to currently enrolled students. UC faculty groups have also expressed concern that private providers may infringe upon their intellectual-property rights, which identify the instructor as the owner of its course work. There is no language in the current bill that protects curriculum developed by public university faculty from being used by private partners. Steinberg recently amended his bill, allowing academic senates to consult on what online classes will be offered. Under the latest version of the bill, the UC, CSU and community-college systems would select a list of 20 high-demand, general-education courses and provide incentive grants to develop online curricula. The course work could then be facilitated by private technology providers. The bill recently passed the state Senate and is headed to Assembly. But despite the recent amendments, UC Berkeley associate English professor and incoming BFA co-chairwoman Colleen Lye said S.B. 520 still feels like a disinvestment in public universities. UC Berkeley history professor and incoming BFA co-chair James Vernon said that adding online classes “seem like a magic bullet to reducing costs.” But “we believe it’s a back door to the privatization of public education—and an excuse to not hire real faculty,” Vernon said. If passed, the bill would go into effect January 1, 2014. The online courses would be available to students across the state under a program called the California Virtual Campus (student fees have not yet been determined). The bill would be the first in the nation to require state colleges and universities to give credit to students taking classes exclusively online. Due to significant budget cuts over the past four years, California public universities have frozen or reduced student enrollment, raised tuition, and cut course offerings. Williams said the bill’s budget and overall cost has not yet been determined, but it will be addressed after the Legislature passes a new state-spending plan and it is signed by Gov. Jerry Brown. Williams said the incentive grants would be available to both online initiatives created on college campuses and to public-private partnerships, citing San Jose State’s partnership with online education startup Udacity as an example of how a public university can use an outside technology provider to offer for-credit college classes. However, it remains to be seen whether such public-private partnerships will save money. A recent San Jose Mercury News report questioned the cost advantages of the San Jose State-Udacity partnership, explaining that participating students at an Oakland charter school had to be issued laptops and required significant hands-on instruction. A formal study on the partnership is currently underway. Faculty associations, meanwhile, have repeatedly said they are not against online instruction—as long as it’s produced on campus and led by college professors and instructors. The CSU offers 84 online undergraduate and master’s degree programs, and more than 13,000 fully online or hybrid courses. Still, Lye noted that the jury is still out on whether online classes are effective, especially when compared to traditional, face-to-face instruction. Lye said there is a lot of mixed analysis about how online education affects different demographics—a fact Steinberg’s bill currently overlooks—as well as what courses work best in an online forum.